Are you ever just overwhelmed when it comes to planning travel? First, you have to decide where you are going, how many people are traveling with you and then you start making accommodations. Sometimes I think accommodations for lodging are the hardest thing to retain successfully and your sanity! Everyone in my crew has a wish list of things they would love for their hotel or lodging facility to have but sometimes I can’t meet those demands! Amenities mean the world when you travel with a family. Things like a large parking lot and food on premise are great ways to keep your family happy, together and with the least of the amount of planning stress. 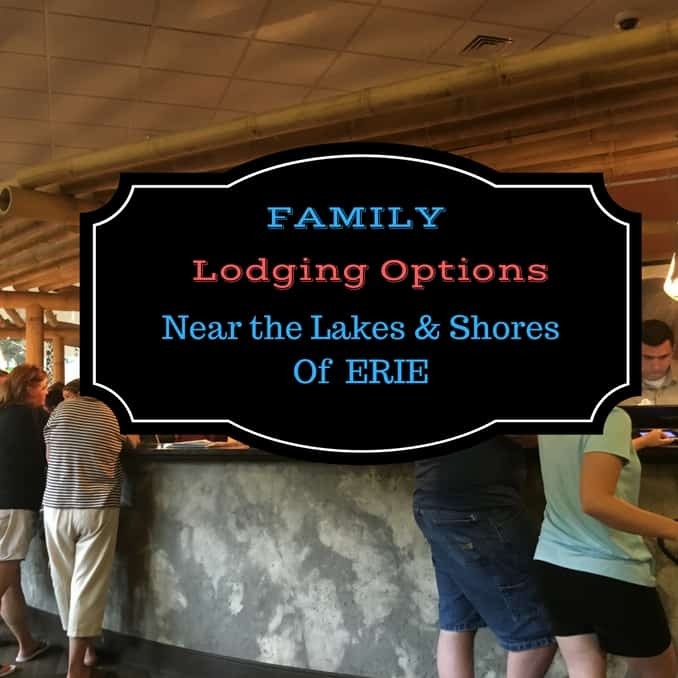 The area close to The Lakes and Shores of Erie offers many options for hotels, resorts, and variations of lodging that it can be simply exhausting seeking out where to stay as a family. Lavishly live travel out loud and check out family lodging options near the Lakes & Shores of Erie. Hopefully, the two different places we stayed will help you plan your time. Each location is conveniently located to all major attractions and not usually more than a 20 minute trip from most. The hardest part of choosing to lodge is determining which amenities best fit your family. Each stop has Pokemon Go available and plenty of ‘rare’ captures – at least that’s what I am told from my kids! Enjoy your trip and here’s a little bit more about a few family lodging options near the Lakes & Shores of Erie. 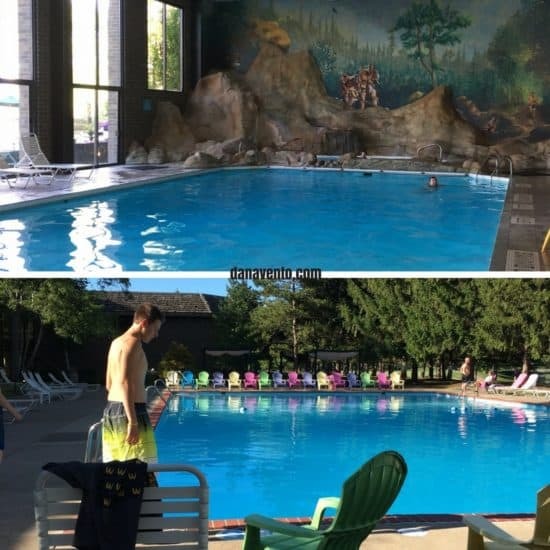 Our first stop on our Sandusky trip was loaded with Lake Erie Love, in fact, the facility is everything you would want for a vacation with family. From restaurants to amenities the resort had it all. Let’s take a look at the amenities that made this location fun! Any guesses where we were? In fact, we had a few of the amenities I adore when traveling with my family and there was plenty of on-site activity. Hello, Kalahari. This is your bridge from basic life to fun and suddenly your ‘work’ life will transform into fun-time. 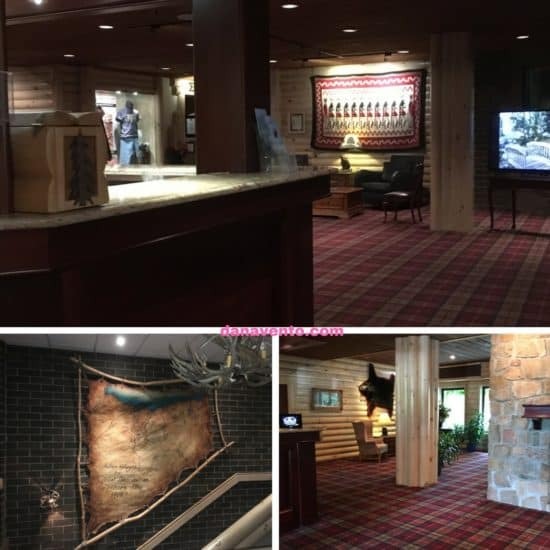 When you walk into the Kalahari Resort, you can’t help but feel like you have traveled to a resort as the bridge from the parking lot to the building has awesome music and suddenly life transitions from everyday mundane to a full throttle party. Get ready for families, families and more families all ready to enjoy time in the waterpark! The rooms are clean, and offer amenities that families need like safes in the room, hair dryers, restaurants on site (especially treat shops), a large parking lot, and soft towels. In addition, our room had the couch for additional sleep room which is great with four people, only one had to share! I actually loved the packaging of the soap, shampoo, etc in the resort as it was not ordinary, rather take a look. I will advise using the stairs rather than the elevators and you do not need to bring towels to the Kalahari Resort because the water park has towels for you to use making it so easy! Taking less to the waterpark area is better unless you can find a seat or table to stow your stuff at. Many people were renting lockers for the day, but because we had a room, we did not have to do that. You can not check in until 4P but you can access the water park on the day of your check in at 11A. Additionally, while you have to check out by 11A the next day, you are welcome to stow your bags in your vehicle and play the day away until 4p, so you really can maximize your time at the park. From the Kalahari to the Jet Express (if you are headed to Put In Bay ) you are only about 20 minutes away with traffic, so its nice and convenient, as well as being close to the best sports tavern in the Sandusky area and the best Brick Oven Pizza. 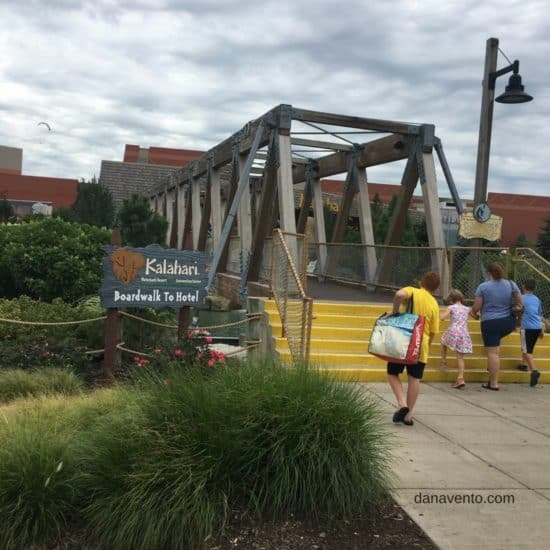 Our thanks to Kalahari for a wonderful overnight stay and fun in the park, we hope to see you soon! Our next stop to get feel a little more of that Lake Erie Love was at the Sawmill Creek Resort. This is a very large center, with a private beach (that you can access as part of your stay) a golf course and a convention center, that is quite busy with business guests. Huron, OH 44839. The website itself does not do this resort justice, in fact, I might have passed it over had I not been introduced to it. There are wonderful pools, CLEAN rooms, just very different decor. The facility is well used by business conferences, the bar area booms, and the amenities like tennis courts and golf areas are consistently being taken advantage of as well. The Pool area is so calming, surrounded by pines and off in the distance is golf. It’s quiet, with multitudes of chairs and I am a big fan. The rooms need to be bigger if you are staying with a family, and I say that as one that is used to staying in suites, or multiple rooms, one room with 4 people is not enough. Now that is personal preference but the beds are double beds. The cleanliness of the rooms was impressive, the inside windows were clean as could be, as was the bathroom area. We were there to not be in the room, rather we were off on journies day-long so sleep was our primary reason for the room and use of the resort. The beach area is nice but it is a hike. However, insiders scoop: we could have requested a golf cart to get back and forth. A valuable tip and after full days of walking parks and all over, I wished I would have known. As far as WiFi, it is ‘iffy’ at best, unless you are in the middle of the resort by the pool area. I am not sure why the WiFi is so bad, as there are routers throughout the hallways. I will give it the benefit of the doubt. There was a Paper Convention going so perhaps too many people on one system? There is ONE elevator in the resort, so do listen to the directions of how to get to your room to make the best plan of HOW TO get to your room with your bags. Once we figured out how to get to our room, we found the direct path to the outside and it was easy to access. Check in is easy, you drive up with a well-marked traffic progression, and head to the front desk area. We got our room and we headed there. Rooms are basic, and very clean, including wood floor entrances. The Rooms have double beds in them, so if are traveling with kids you may need 2 rooms and the rooms all adjoin anyway. Check out the inside of our room here. One of the nicest amenities at the Sawmill Creek Resort was the large outdoor pool, which was hardly being used. There are pleny of seats, and again, there are towels available, but they are not always stocked. I would advise bringing one along, especially for sitting outside on the great lounge chairs. The indoor pool is open late, and the outdoor closes by 9p, so you have a wonderful indoor facility to use and the kids loved it. You can walk the entire facility on the INSIDE. I bet it is about a mile or better! We spent a lot of time covering the hallway walking as the kids were capturing Pokemon Go creatures. A snack bar is right off of the pool area. This makes snacking super easy. You can also find some fun tees there to purchase! Parking is not at a premium, and it is included with your lodging fee. 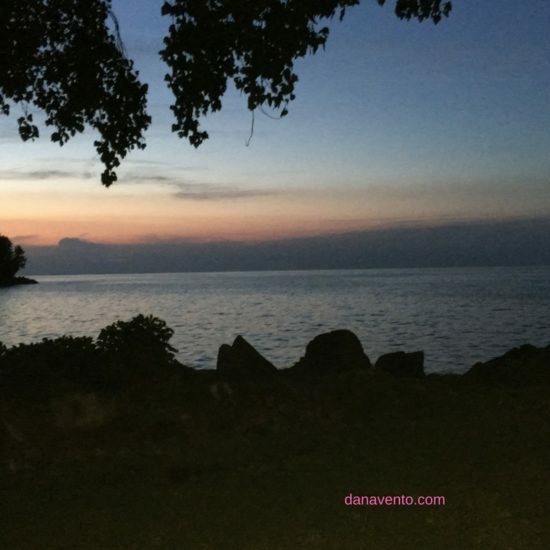 Bring bug spray and spray it, as you are staying by a nature preserve Please read my article about Chigger Bites if you plan to head to the lake. Trust me you will get bit by bugs, so spray before you go and you will be fine! Head to the lake or head to the front desk and request a golf cart ride down. The walk from the resort to the lake is about 1 mile down. Walking includes a great scenic view of homes in a lovely Private neighborhood. Just stay on the path and you will love the lake area when you get there. One exciting thing to note is that you will find a rope swing! 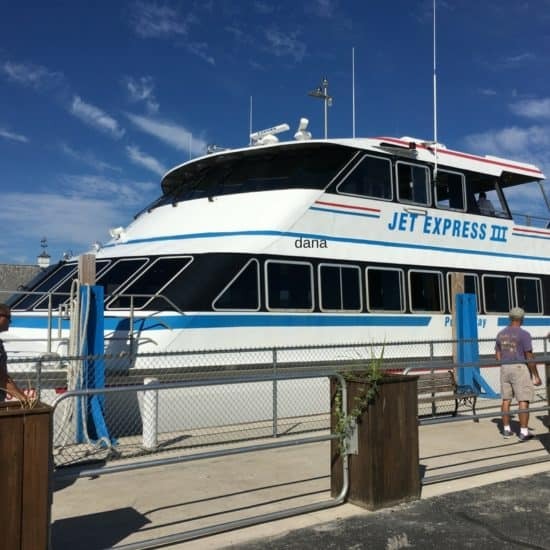 Your location is ideal for getting to and from the Jet Express (and never having to get one more than ONE road)! So close, just a straight shot up and down this road loved that! The Sawmill Creek Resort is minutes away from Cedar Point (again one road, no turns, easy, peasy!). Restaurants like Sortino’s, and Brick Oven Bistro Pizza are just 5 minutes away. Also, you never have to turn off the road! If you do need a little more adventure, once you head to the Brick Oven Bistro. Turning left out of the Brick Oven Bistro, leads you right back on Milan Road and there are shopping plazas with Walmart, Target, etc. Traveling to the Lakes & Shores of Erie is truly a fun family destination. I have taken the hard work out of your planning and shared where to stay with your family. From relaxing pool time to interactive water parks, there is truly lodging for every family and for every budget. Lavishly live travel out loud and enjoy your time while near the Lakes & Shores of Erie. I lived in Ohio for three years, but I never visited any of these places. Sounds like there are an array of options. This sounds like such a great place to visit. I really want to get out and head east to explore. kristin recently posted..Lexus LaceUp Running Series – Race Entry Giveaway! Oh, nice options! If ever I go there, I will definitely check these places. Wow, this sounds like a lot of fun! Quite a ways from me though so it won’t be any time soon I get to visit! I love that the parking is included with the lodging fee. I feel like too many places overcharge by the time you get everything paid. There are many trips where I’m overwhelmed when it comes to planning them. Thankfully, it’s gotten easier in the past few years since I’ve done it so often. Kalahari looks really nice. I will keep this in mind for when my family is in the area. We’ve been to Kalahari and love it there. These are great options for my family! This looks like a great place to visit! It’s been a while since I’ve been to that area but I’ll have to keep this in mind! Those are some really great options. I have never been to Lake Erie. But now, I really must plan a trip. Kelly Hutchinson recently posted..Fabulous Friday Intelligent Blends Coffee Sale! This looks like a great place to visit! It looks so relaxing and Kalahai looks like an awesome place to stay. The Lakes & Shores of Erie really is a great family destination. We live about 3 hours from the area and try to make a trip at least once a year. My girls would love to stay at Kalahari resort, so I think that will be where we stay on our next trip. This is a very helpful review! Will take these into consideration when looking for a place to stay near the area. Thanks for sharing! What a beautiful place. I would love to take my family there at some point. We are such huge fans of Kalahai in the Poconos. This location looks fantastic! It sounds like you guys had a ton of fun! This looks like such a great place to stay! These sound like great places to stay. 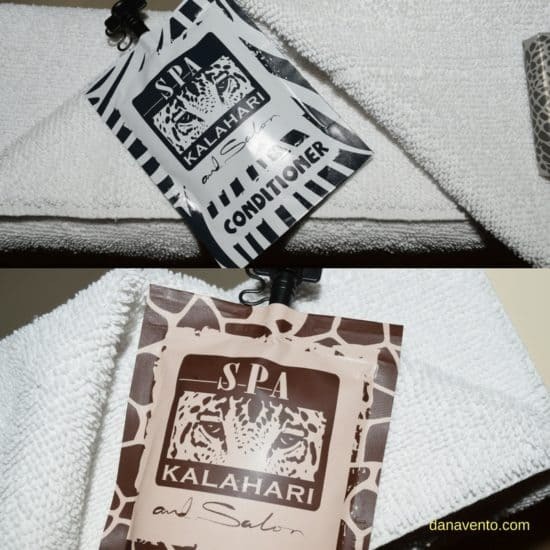 I love the soap and conditioner packaging at Kalahari. These are all such great options! I’ve stayed at a few different resorts around the Great Lakes. The very coolest thing about all of them is that it feels like you’re on the ocean.